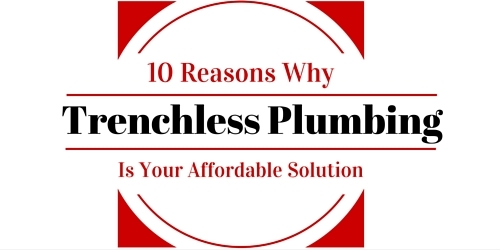 Ten Reasons Trenchless Plumbing Is Your Affordable Solution! Ten Reasons Trenchless Plumbing Is An Affordable Solution! Today, many residents of the Fort Worth, Texas area welcome a new affordable solution for broken waste water pipes. During previous eras, resolving this common residential crisis often entailed thousands of dollars in bills and many days of aggravation and neighborhood disruption. Now, property owners instead call upon the services of skilled technicians trained in trenchless sewer line repair techniques to resolve leaking waste water pipe issues as a first choice. Although not appropriate for all instances of water line repair, in many cases, this breakthrough technology offers an attractive cost-effective alternative to excavating. Residents of this part of Southeastern Texas appreciate trenchless sewer repair! In appropriate situations, a technician with training in the process of trenchless plumbing introduces a tiny digital camera into a pipe to obtain detailed specific information about the condition of the pipe and the location of possible leaks and obstructions. If the circumstances permit trenchless techniques, technicians then introduces cleaning tools and a sealant into a malfunctioning waste water line using patented technology. The highly specialized repair process prevents further corrosion and plugs existing leak and break without disrupting surrounding infrastructure. Trenchless repair provides several distinct advantages over more traditional methods of correcting sewer line leaks. 1. No need to disrupt existing infrastructure searching for leaks. Conventional sewer line repair frequently requires digging up lawns. It may necessitate drilling through patios, or even foundation slabs. 2. Save money on heavy drilling equipment and excavation permits. Avoid renting excavators, pneumatic drills and other specialized heavy construction tools. 3. Minimize the risk of damaging nearby private or city infrastructure. Trenchless repair poses fewer risks to nearby pipes, lines and other infrastructure components. 4. Obtain faster results, with a reduced number of hours of labor. Instead of uncovering buried pipe to locate a leak, technicians can identify weaknesses in the line rapidly. 5. Hire a single worker, not ten. Trenchless sewer line repair typically involves far fewer workers at the job site. 6. Avoid expensive relocation costs during the project. When breaks in exposed sewer lines emit foul odors, the stench may temporarily inconvenience local residents. Use trenchless technology to minimize this hazard. 7. 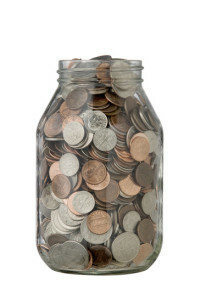 Save money on pipe repair supplies. No need to invest in significant quantities of pipe replacement using the trenchless technique. 8. 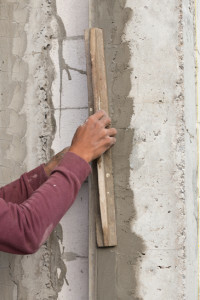 Reduce the potential for foundation damage. By avoiding most drilling and excavating procedures, trenchless repair techniques significantly reduce the risk of damaging a slab and foundation. Sometimes conventional excavating methods require extensive foundation repair afterwards. 9. Save costly cleanup and landfill expenses. Trenchless techniques do not generate masses of earth, rubble and debris requiring landfill disposal. 10. Minimize the risk of litigation costs from inconvenienced neighbors. Using trenchless technology usually pleases adjoining property owners, because they do not suffer significant disruptive noise or traffic congestion as a result of the repair process. Heavy equipment crews working in the area, by contrast, frequently attract attention. To determine whether or not a water line repair in Fort Worth proves suitable for trenchless repair, call us today. We’ll assist you in locating the source of your leak. Then we’ll help resolve the problem. Don’t allow seeping leaks to damage your residential or office foundation. Contact us today to obtain prompt, courteous, professional solutions from Accurate Leak And Line!